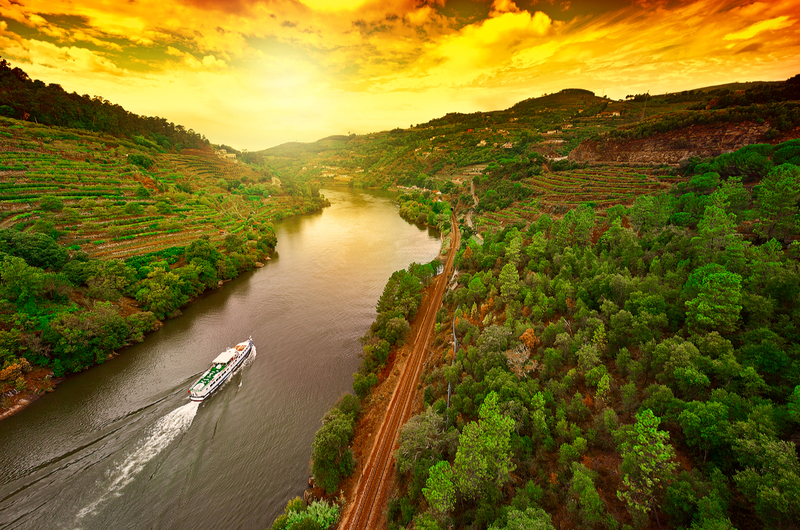 There’s treasure to be discovered on Portugal’s Douro river – especially if you enjoy a glass of the local speciality. The first sip of the crisp, chilled white port – totally diff erent from the sweet ruby digestif of Christmases past – heralds the beginning of my voyage of discovery along the Douro, Portugal’s so-called River of Gold. Some argue that its name derives from the word for “water” among the Celtic tribes who once inhabited these lands. Others prefer the more romantic explanation that it’s simply from the Portuguese de ouro, “of gold”. But however the river got its name, its renown now rests on another precious substance – port – from the steeply terraced vineyards that line its banks. From the Spanish border, the Douro curves 125 miles through the lush landscapes of Portugal’s green north before meeting the Atlantic in Porto, the country’s second city, and the birthplace in 1394 of Henry the Navigator, who led the Portuguese age of seafaring discovery. It was here that I boarded the CroisiEurope river cruiser Gil Eanes for my own week of exploration. Smaller than river ships plying better-known waterways such as the Rhine and Danube, this 132-passenger vessel launched in 2015 to become CroisiEurope’s fourth ship on the Douro. With 66 outside cabins on three decks, and a bright, modern feel, it makes a comfortable floating base for a week on this lovely river. 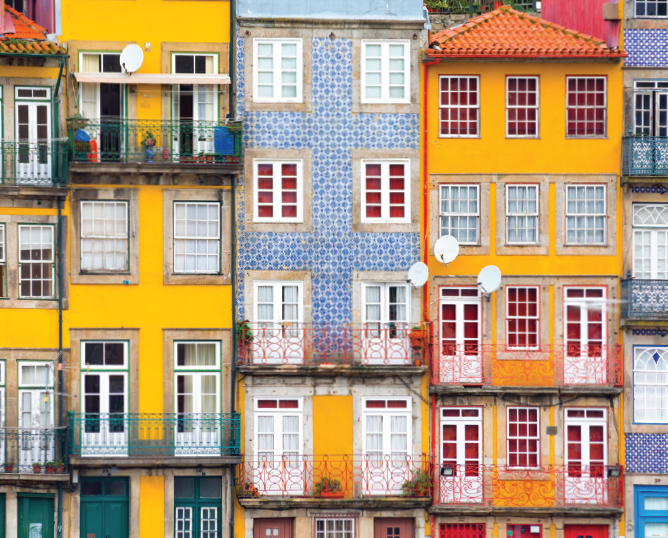 The itinerary allows plenty of time to discover Porto under your own steam or on one of the optional excursions. Divided by the Douro, the city is joined by four bridges, including the Dona Maria Pia railway bridge, completed by Gustave Eiffel a few years before he achieved immortality in Paris. The tour reveals a city of two distinct halves, best seen in the sweeping panorama from the viewpoint next to the Dom Luis bridge. The medieval old town, criss-crossed by trams, is topped by the 13th century fortress-like Se do Oporto cathedral, and on the opposite side are the 18th-century warehouses of Cais de Gaia. 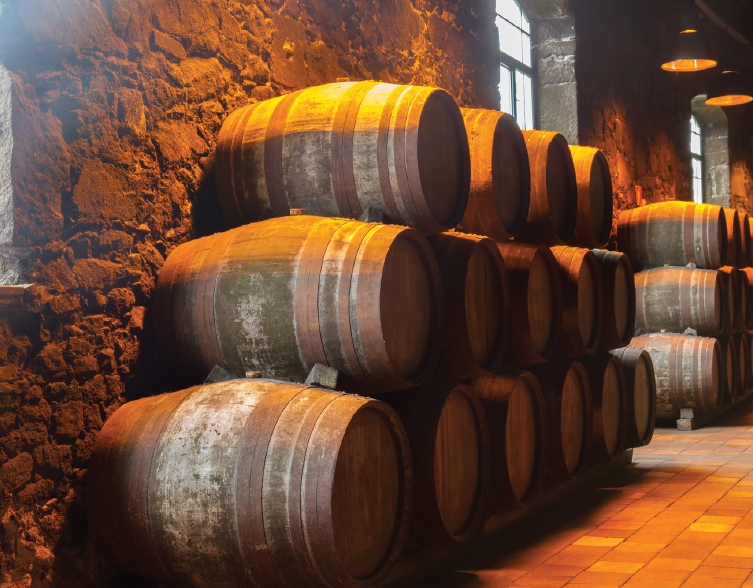 The names of these read like a wine list – Taylor, Cockburn, Sandeman, Graham, Symington, Croft and many more – and it’s in the cool cellars of these port houses, or lodges, that the famous fortified wine is aged in bottles, casks and vats. Our little party headed to one of the oldest lodges, founded in 1751 by an indomitable widow called Dona Antonia Adelaide Ferreira. Our guide led us through dimly lit cellars where we marvelled at a gigantic 15,800-gallon barrel and learned about the history of port (in a nutshell, or perhaps a liqueur glass, two young shippers from Liverpool added brandy to some Portuguese table wine in 1678 to preserve it during its journey to England. The result tasted surprisingly good). The recipe has since been refined – more than a little – and a tasting revealed a drink with far more complexity than I had ever imagined. For several centuries the precious liquid was brought from the vineyards to the city’s cellars by river, in flat-bottomed rabelo boats. Trucks have stolen their trade, and these simple wooden vessels are now used to ferry tourists on pleasure trips. As Gil Eanes cruised out of Porto on the still waters of the Douro, it was hard to believe that these were once treacherous with rapids, wrecking countless rabelos as they made the perilous journey downstream. The Douro was tamed by five dams constructed between 1964 and 1972, and the most spectacular is the Carrapatelo, which also incorporates one of the world’s deepest locks. It was an amazing experience to be on the Gil Eanes as she slowly descended into cavernous gloom, re-emerging into the sunlight half an hour later and 115ft lower than our starting point. From here we sailed on through the dramatic wooded slopes of the UNESCO-listedDouro Valley, typified by layers of silvery schist, the slate-like stone that creates a heat-retaining soil on which the vineyards flourish. Remote farmhouses dotted the hillsides as we headed towards Régua, our stop for the night. where rabelos arrived and departed, carrying wine to Porto. Nowadays it is the gateway for various excursions, including to Solar de Mateus Manor, an ornate house that provokes déjà vu in anyone who remembers 1970s dinner parties, as it features on the Mateus Rosé wine label. The interior is famous for its carved wooden ceilings and collection of religious artefacts, while outside there are beautiful gardens. Because night-time navigation is not permitted on the Douro you don’t miss any of the scenery, and even the beds in Gil Eanes’ cabins face the windows, so you can watch the landscape glide by if you want to take a rest in the day. Life on board was relaxed and informal. CroisiEurope is French-owned – all the unfailingly cheery crew members are bilingual – and we sailed with a cosmopolitan crowd of French, Americans, New Zealanders, Australians, Norwegians and Swiss, forging international friendships over the free-flowing wine with lunch and dinner. Mealtimes, in true French style, were leisurely, and the food was first-class. 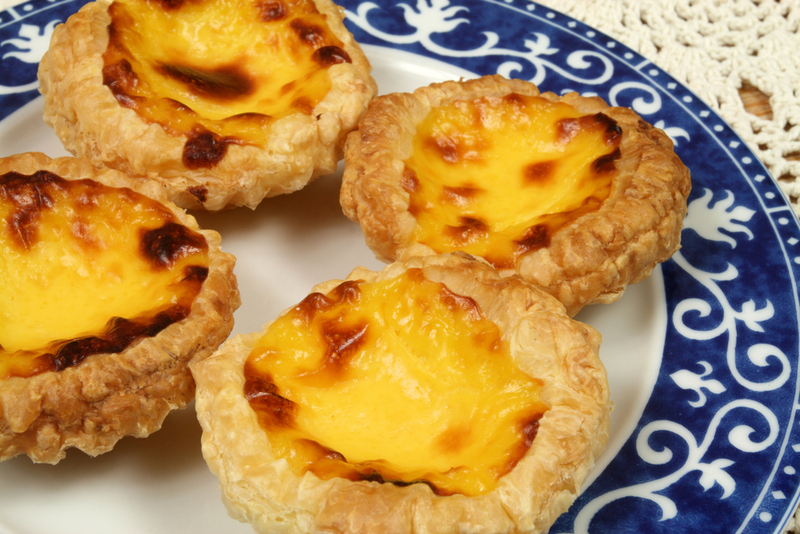 Served lunches were akin to dinners, and dinners were four-course spectaculars, often featuring regional specialities such as the rich Portuguese stew cozido and pastel de nata, delicious custard tarts (lunch and dinner have a set menu but dietary requests can be accommodated). Each day brought beguiling new sights. In Lamego we visited the sanctuary of Nossa Senhora dos Remédios, perched above the town, a baroque church that is one of Portugal’s most venerated shrines. Built in 1750, it is reached by a magnificent stone staircase flanked by fountains, statues and tile murals (after being dropped off at the top we had the option of walking down the 700 stairs). Sandeman winery, where a huge sign bearing the company’s trademark caped figure dominates the skyline. Another highlight was the trip across the border to the “golden city” of Salamanca, Spain’s oldest university town. We strolled from the main square to gaze at the elaborate university façade, trying to spot the tiny stone frog, said to bring students good luck. And that evening entertainers came aboard to perform Portuguese fado, the haunting songs and music associated with the sea that originated in the 16th century. On our last night we stood on the warm deck and savoured a final glass of port, reflecting on a memorable week that provided a real taste of the Douro region, past and present, in every sense of the word. • Shore trips: can be booked as a package in advance, through CroisiEurope or a travel agent, or booked individually when on board, with prices starting from around €27. There is a good choice of tours – 10 on the week-long Porto to Porto itinerary – ranging from a 90-minute tour of Porto by night to half-day tours of cities such as Braga and a full-day excursion to Salamanca. All English-speaking passengers have a dedicated guide.